United Airlines flight 117 begins at Newark Liberty International Airport, 10 miles from my home in Jersey City, and ends in Hong Kong, 8065 miles away. It’s the eighth-longest flight route in operation, and if you’re a restless flyer—and I am a terribly restless flyer—there’s nothing good about it, save the small cup of mango sorbet that follows dinner. I boarded the plane on Thursday afternoon feeling like a normal human being; I staggered off nearly 16 hours later feeling, as they said in Ghostbusters, like the floor of a taxi cab. 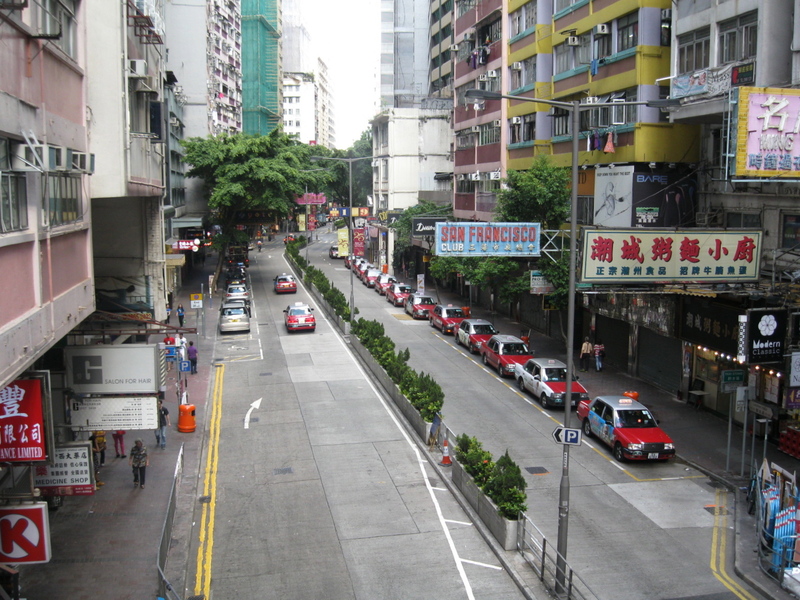 … listened to people speaking Cantonese everywhere I went, often feeling like my Mandarin-tuned ears could almost understand them, but not quite. And then it was time to go back to the hotel and start working. We leave for Mainland China tonight. Catch you next time, Hong Kong. What’s the story with Crispy M&Ms? Banned for trans fat or just 被kale chips淘汰了? Apparently I’m the only American who likes them? I thought they were discontinued years ago and then spotted them in Hong Kong in 2013—I bought three bags on the spot! I love this post more than cliched words can say! You did all my favorite things apart from the coffee (which I don’t drink, but I spent many a weekend at Pacific Place with Janice). Sharing tables in Hong Kong is so much fun. I wish we did that more in the U.S. Did you see people hovering over diners to grab up their spot as soon as they were finished? I mastered that art long ago! I also love how you could understand some Cantonese because of your Mandarin background. That’s the only reason I can speak a little Cantonese. Without the Mandarin background, I would have been completely lost, not partially lost. I hope you can return again soon!